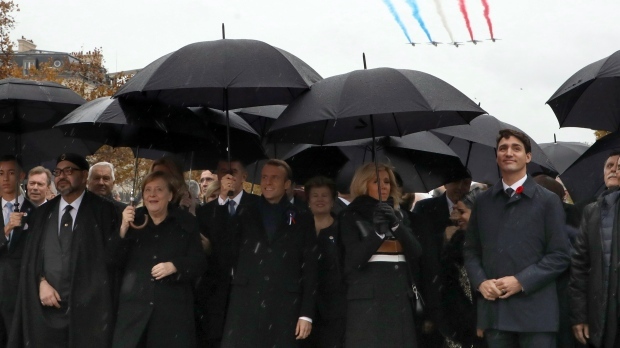 Prime Minister Justin Trudeau and other world leaders used a global commemoration of the end of the First World War to warn about the risk politicians who call themselves nationalists pose to a fragile peace. 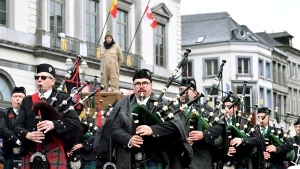 The central square in Mons, Belgium was awash in red and white on Sunday, in tribute to the Canadians who marched into the city to liberate it from the Germans 100 years ago. A Halifax police horse threw its rider to the ground and galloped off during Remembrance Day ceremonies Sunday, injuring the police officer and a nearby civilian. 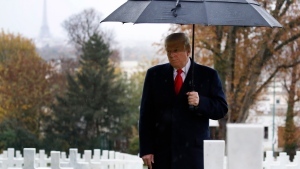 At a weekend commemoration of the 100th anniversary of the end of the First World War, Donald Trump, the U.S. president who proudly declares himself a 'nationalist' stood apart, even on a continent where his brand of populism is on the rise. 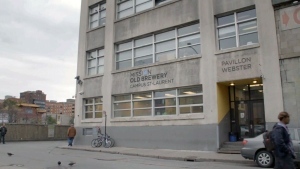 A new program to tackle homelessness among Canada’s veterans has had success in Montreal after helping rehouse 16 former soldiers. 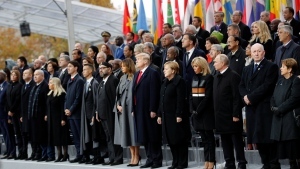 World leaders with the power to make war but a duty to preserve peace solemnly marked the end of World War I's slaughter 100 years ago at commemorations Sunday that drove home the message "never again" but also exposed the globe's new political fault lines. A hundred years later, their words can still pierce hearts. Fighters writing home from opposing front lines of the First World War, a Chinese labourer marveling at the war's end, a woman dreaming of reuniting with her soldier love. 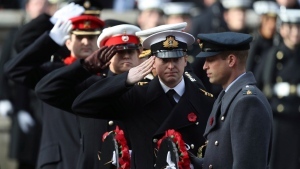 In the United Kingdom, Queen Elizabeth II has led a national act of remembrance on the 100th anniversary of the end of World War I. 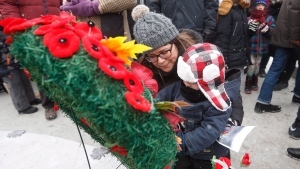 Spiritual leaders reflected on the horrors of the First World War while calling for a world of tolerance and peace on Sunday as thousands of Canadians braved the biting cold to remember and honour those who fought to defend such ideals. 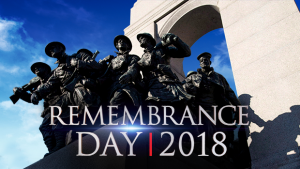 On CTVNews.ca/Remembrance: Replay dispatches from CTV reporters at the National War Memorial Remembrance Day ceremony in Ottawa and from ceremonies across the country share their observations in a social media livestream. 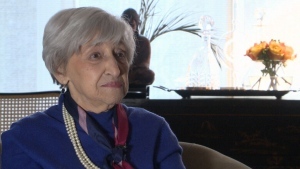 A 99-year-old Montreal woman who was born the same hour as the agreement to end the First World War will ring in her 100th birthday at a special Remembrance Day ceremony in Ottawa. 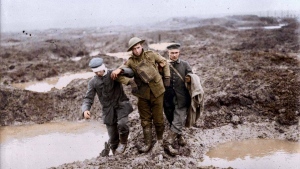 A century later, John McCrae's piece remains one of the most famous wartime poems, and has become a hallmark of Canadian culture. Below is a line-by-line analysis of "In Flanders Fields." Click on each of the red words to read more about the history of the poem. Where: The parade moves off from the Sergeant's Memorial for the National War Museum. 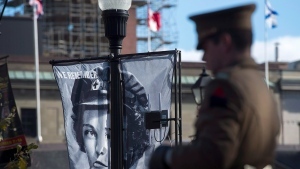 Where: The parade will form up at the Carlton Street Armoury and move to the Fredericton Cenotaph. 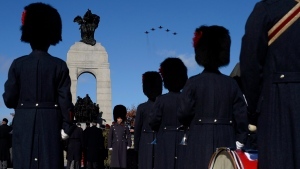 Details: The Prime Minister, the Governor General of Canada, and the Silver Cross Mother will be in attendance.